I have a huge pet peeve. I am not a huge fan of parents screaming at public playgrounds. I appreciate the hullabaloo of little ones having fun but loud parental engagement does nothing for me. Learning basic playground signs allows you to be in control of the situation, helps you train your little one to constantly have visual contact with you and adds civility to public settings. Here is a nice chart to get you started. In addition to the signs on this chart you should learn basic signs available in our dictionary & baby sign language kit such as stop or come. If you are like most of us you are deeply concerned for those affected by hurricane Harvey. In our case, we are particularly touched by those who had to flee and are currently parenting babies and toddlers. Yesterday we had the opportunity to volunteer at a temporary shelter and we identified specific needs of those dealing with the added complexities of having little ones without a place to call home. As you prepare to donate or assist please keep this tips in mind. A natural disaster is not an opportunity for you to clean the garage. Large toys, out of season clothes and high tech gadgets have no place in the donation bin. Practice relevancy and meet immediate needs. Pre-wash all baby clothing and pack it in clear bags marked with size and a note indicating that the item has been washed. 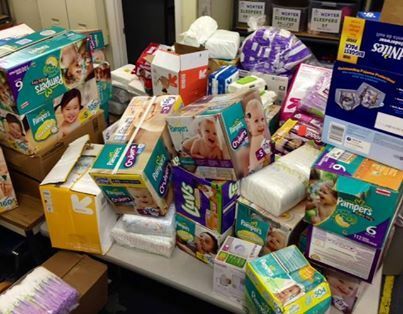 I could not help it notice the donation stack had piles and piles of lower quality disposable diapers. A blowout is not fun at any time but it is particularly difficult if you have limited access to water. When selecting donations shop as if you were shopping for your own baby. Think about sensitivities and allergies. Pick fragrance-free baby products and consider donating formula that addresses specific food sensitivities. In many shelters families are given only cots. If you have small strollers that recline and compact pack ‘n plays consider donating. In a few months those whose houses were damaged and had no flood insurance will need all manner of goods. Hold on to your nice stuff. You will soon have the opportunity to make a difference and help a family or two trying to put their lives back together. If you have a high quality baby wearing wrap to spare consider sharing. When you don’t have a private place to let your baby rest baby wearing is a second best option. Many families evacuated last minute leaving behind their most basic possessions. Take time to pick and donate small loveys and pacifiers to bring little ones a sense of comfort and familiarity. Many evacuees don’t have access to a car. If you are donating to a shelter consider including breastfeeding pads, high quality breastfeeding new bras and gently used breastfeeding-friendly tops. This is perhaps the most important thing you can do. Select charities and organizations known to be good stewards and donate generously. Recently I had the opportunity to visit with my friend Martha who is a speech therapist. I was quite surprised to see several decks of baby sign language flash cards in her therapy room. I had to ask why someone whose main objective was to help someone speak was making use of sign language as a support tool for her sessions. Martha was quick and eager to tell me about several patients under three years of age who were hard at work overcoming childhood apraxia of speech, also known as developmental verbal dyspraxia. To put it simply CAS is a condition where the brain struggles to direct the body to act in ways conducive to speech. A child with apraxia does to have muscle weakness or paralysis hindering speech. Instead, the order from the brain to form sounds through the use of muscles and movements is not happening the way it should. A child with CAS lacks precision and consistency when vocalizing and in some instances he or she will not speak but will demonstrate full understanding of words and concepts. Lengthened coarticulatory transitions between sounds and syllables (pauses). CAS is not curable but children can overcome it through early intervention and therapy. Therapy for CAS has a multi-prong approach. Therapy is led by a speech pathologist and is handled in short, high intensity sessions that tackle motor learning. Baby Sign Language Flash Cards are useful at all stages of therapy as one of many augmentative communication resources. -Toddlers are encouraged to sign creating opportunities to refine motor skills. -Toddlers have the chance to point aiding in the communication of immediate needs. -Toddlers are able to receive visual feedback associated to specific verbalizations. -Toddlers can have a tactile experience by holding the card and engaging with the therapist. We encourage you to use all of our free printable resources or purchase our affordable and durable flash card sets. In everything there is the right way and the wrong way, sign language for babies is not an exception. I am always surprised when I receive emails from parents, preschool teachers and speech pathologists facing common frustrations associated to how and when a child begins signing. If you are about to embark in the journey of teaching signs along with working on their speech I want to invite you to take note of a few common mistakes regarding the teaching approach of baby sign language. We learn to communicate through imitation and association. When we pick and choose when we will use a sign we delay how the child begins to associate the sign with a concept. Signing only during play or while engaging in teaching sessions fails to aid in conveying how a sign is useful in real life interactions. Think about baby signs the way you think about words use the sign each time you use the word. You are not trying to break a Guinness Record! Too many signs lead to confusion. Focus on words and signs that are relevant to the immediate needs of your child. Pick practical concepts like food or basic needs like more or hurt. Also have some fun including your child’s favorite objects. We all have a friend with a genius child but don’t let that discourage you. Every child walks their own journey of communication but all eventually get to a point where they are able to communicate. Observe their learning style and make adaptations accordingly. Baby sign language is a fantastic tool to equip your pre-verbal child in ways that make life easier. With that said, your central role as a parent or educator is to improve the quality of life of little ones. Relax and fill each learning experience with joy. Believe me. You will get there! One of the most fun and effective tools for teaching signs happens when we find ways to engage multiple senses. Sensorial learning expedites how our brain processes information. Don’t hesitate to use small toys, flashcards and songs when trying to reinforce a concept. 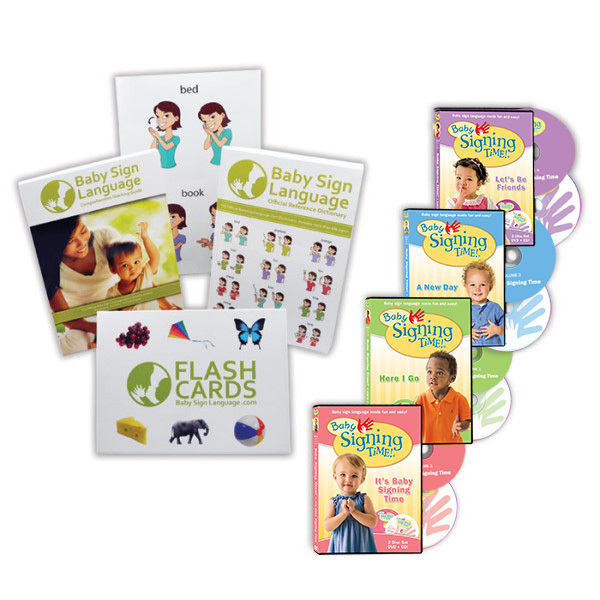 Ready to get your Baby Sign Language Kit? Potty Training Baby Sign Language Style – 10 Tips You Don’t Want to Miss! There is a season for everything. Potty training is about waiting and reading queues that may indicate readiness. Forcing your baby to use the potty is unnecessary and traumatic. Humans learn through imitation and familiarity. Expose them to the concept, teach them to be familiar with the objects, words and signs associated with evacuation and watch them thrive. .
A baby can only use the potty if he can express the need to go potty. We made the signs for pee and potty a priority even when we were not ready to start potty training. A good way to start is to teach the sign for diaper to encourage your little one to ask for diaper changes and enjoy the comforts that come with cleanliness. As your baby grows and observes the world around them begin introducing the sign for potty, the sign for washing hands, the sign for clean and the sign for wet. Turn the whole thing into a positive experience. Play games, use gadgets and give rewards. There is no shame in making the best of a very difficult season in life. We always had a candy dispenser by the entrance of the bathroom. I also love the Cheerios aiming game! When mom, dad and all caregivers are reinforcing the same habits everything becomes easier. At our daycare they use the timing method allowing toddlers to have potty-time every 20 minutes. We duplicated the same method at home by singing and signing the potty song and marching to the potty to do our business. Gender imitation is perhaps the best and most reliable method of potty training. Ask an older brother or daddy to be the pee coach and create awesome rituals around mundane tasks such as washing hands together. Before you tell me that you are not a materialistic parent and you refuse to use bribes consider the magic of praise and affection. A celebratory song or a hug has as much value as a bunch of candy. Every experienced parent will tell you that the commando approach works. In the absence of a diaper little ones are far more likely to seek out the potty to avoid soiling their bodies. Yes please! We have not used this method in our home but many parents swear by it. Placing a potty in front of the TV and using regularly seems to do the trick for some. How about a potty staycation? If you are a busy parent and you continue to have issues of reinforcement consider dedicating a whole week to potty training. Your full attention and focus may just work wonders. I did not even know these people existed but they do. There are early childhood intervention professionals whose whole career is around potty training. For a fee they will come to your home and put together a plan that best matches the learning style of your little one. Yay for the experts! If your baby is already signing all the potty-related signs you are well on your way to full potty training. Stop by and tell us your stories of success. 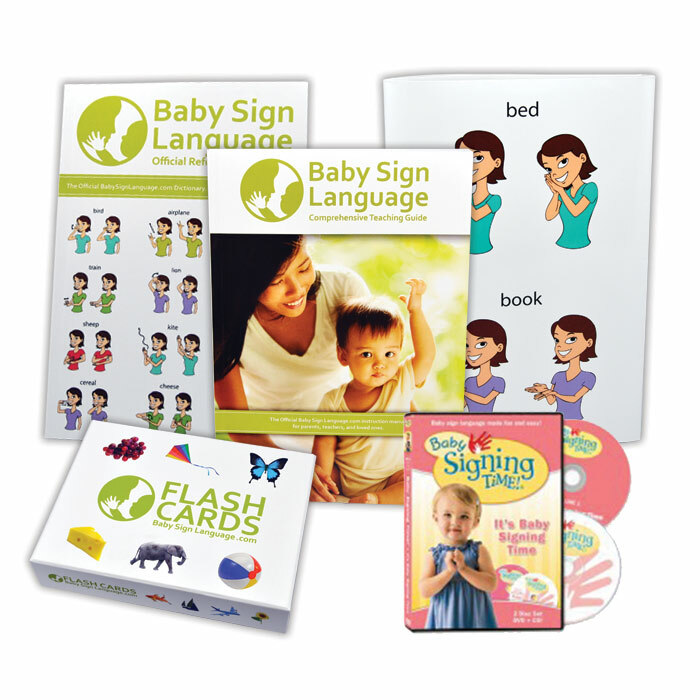 If you are not signing yet why not get started using the awesome resources available in our baby sign language shop. 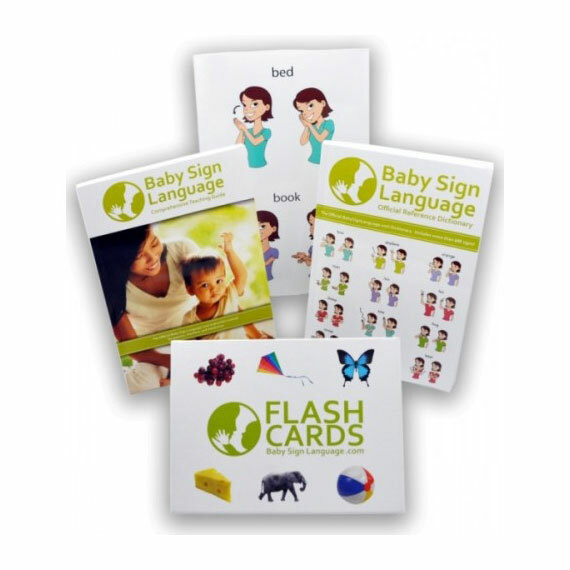 Before you give away your flash card set to your best friend who is now expecting consider the way our baby sign language flash cards and kits are most commonly used by language therapists. Take note and pull your set out to give your little one a huge learning advantage. One of the best uses for the baby sign language flash card set is as a transitional language tool. If you live in a multilingual home take time to print and glue the text for each word in your native language. By including an image of a word in an alternate language and using it in conjunction with the card you are giving your baby or toddler early exposure to additional languages. Longitudinal studies conducted by Harvard University confirm that learning additional languages will increase critical thinking skills, creativity and flexibility of the mind in young children. Even if a foreign language is not spoken at home, your flash card set gives you an ideal opportunity to learn basic vocabulary in a foreign language at the same time your baby learns. Develop critical thinking and encourage their ability to associate objects or ideas by theme by grouping card categories. A fun and useful activity for children learning groupings and themes is to include something that is different. You could make a grouping of animal cards and add a card representing a mode of transportation. Ask your little one to find the card that is different. If your baby is well versed in signing you can sign a set of words and ask them to identify the sign that is not relevant to the grouping. Take time to sound out each word and point to the letter you are sounding out. Explore using the side of card that features the sign only as a reinforced sight words card. Your child will not have the image of the object in question as a reference; instead he or she will have to rely on the visual of the sign and observation of the written word. Pull out the flash cards for ideas such as small and big, hot and cold dark and light. Mix the cards all together and ask your little one to locate and sign the pairs. If you have a picky eater using flash cards provides you with a transitional tool to challenge your little one to try new flavors. Place a bento box with a variety of fruits new to your baby and proceed to show her the card and sign. Let her taste the fruit or food item and have her decide if she likes it or not by either signing positive signs or using the sign for more. Let’s talk about feeling discouraged. I know, that is not exactly the reason why you visit www.babysignlanguage.com but stay with me for this one; you won’t regret it. Parenting a new baby can be a rewarding and exciting adventure but we all have moments of discouragement. For parents dealing with a child who has been diagnosed with learning and developmental delays discouragement can easily take over everything. If you are in that boat I want to invite you to do the next thing. I want you to say goodbye to feeling like you are frozen and find strength to embrace the pleasure of small victories. When you are dealing with the unknown it is best if your goals are short term. Wake up every morning and make it your goal to explore new ways to teach your little one. Look for resources and alternatives to overcome their learning barriers and spend time discovering what works best for you. Every morning commit to not thinking about the day before and fully focusing on new beginnings. Take note of your successes however small. A friend of mine whose career has been dedicated to developmental delays in early childhood always emphasizes workarounds. If your child is not an aural learner explore visual or tactile experiences. Carefully watch his responses to setting and make accommodations. What works for most will not necessarily work for you. Is your child more likely to imitate a peer? Does he need your full attention? Is she easily distracted by crowds? Take time to understand how the social setting affects how your child learns and make revisions accordingly. Don’t wait. The earlier you intervene the better chances you have of catching up. I love how my friend Katia tells the story of her daughter Sasha. Sasha displayed learning delays from birth. In the absence of a diagnosis Katia spent time encouraging learning and teaching Sasha baby sign language. To her surprise when Sasha was finally diagnosed it was discovered that she had a communication disorder. Thanks to baby sign language Sasha already had the tools to communicate buying her family, teachers and therapists valuable time to focus on learning other life skills while working on overcoming her speech delay. If you feel discouraged today we want to invite you to do something. Whatever you do, however little it is chances are it will make a difference in your child’s life. As the weather becomes milder opportunities to do outdoor activities will certainly increase. For those of you entering the toddler stage it will be your very first opportunity to improve motor skills and enhance social skills by interacting at your local playground. Now that your baby has mastered need-based signs such as milk, more, mom & dad we can begin to focus on expanding their baby sign language vocabulary as they become familiar with new objects and new settings. In addition to new words it is important that we work on developing values and teaching manners. 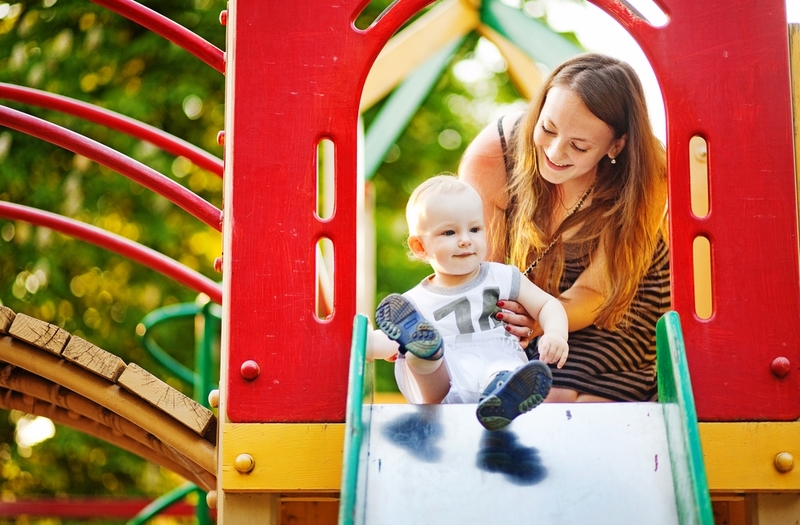 A social context such as the playground provides an excellent backdrop to help our toddlers become familiar with concepts such as sharing, taking turns, asking politely and apologizing. We know these signs will be super useful and extra fun. Before you head to the playground make sure you have applied sunscreen and bring along some water and snacks. Will not communicate needs or wants when placed in crowded settings or outside the home. If you are facing these challenges with your toddler you may want to consider baby sign language as a means of assistive communication even when your baby is already verbal. You see, for those with anxiety it is always easier to mimic a movement than to use their voices. Quiet interactions can help your child overcome social barriers and eventually serve as the tool that facilitates engagement. This is particularly useful if you are attempting to incorporate your kid into a daycare setting and you are having issues related to stress induced by social contexts. If your little one is refusing to eat outside the home teach him a few signs to express preferences. More, all-done, hot, cold and their favorite foods are the best choices to get started. Believe me you will need it for years to come. My friend Kathy tells me that even now that her boy is in 1st grade she uses the sign for I love you to convey affection without embarrassing him in public settings. It is essential that your daycare provider is on the same page and understands sign language. Setting the stage for your child to have easy access to their caregivers when in need of something basic will without a doubt help in making him or her feel secure. 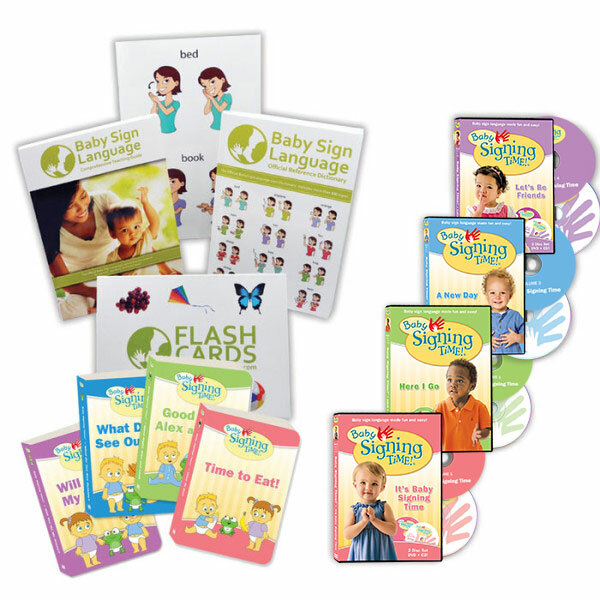 If you have not yet started teaching your baby how to sign we invite you to take a look at our free resources or consider adding our award-winning baby sign language kits to your personal parenting library. You can find our baby sign language kits here. I belong to one of those locally based Facebook mommy pages; chances are you do too. In the last few weeks I have noticed an increase in questions regarding speech delays and denials from the school district to provide early intervention. Here in my town this is the time of the year when the school district tests little ones under three that may need supplemental therapy paid for and provided by the district. The number of denials are heartbreaking, but the reasoning behind some denials absolutely makes sense. You see, many of these little ones are incredibly smart and seem to be engaged in age-appropriate activities and interactions at all levels except speech. According to the National Institute of Deafness and Other Communication Disorders (NIDCD) one out of every 12 children 3 to 17 suffers from some sort of disorder related to voice, speech, language or swallowing. There is a good probability you know someone with a lisp or you are currently trying to figure out why one of your kiddos is having a hard time sounding out certain consonants. The reality is that in most cases a language delay is not necessarily an intellectual delay. To this end, it is essential that you as a parent empower your little one with tools that provide transitional access to communication to better equip them to continue learning while they tackle their delays through therapy and training. If your child is of typical intelligence and he is unable to communicate specific needs due to a speech delay you are setting the stage for a very frustrated baby. Work around the problem through the use of baby sign language or board-based communication. Many parents are hesitant thinking that by giving their kids a way to communicate their will further delay speech. The reality is that your kiddo wants to speak as much as you want them to speak. When they are ready and the therapist has worked through the barriers that are hindering their speech your baby will talk. Meanwhile do what you have to do to ensure he or she feels like there is a connection that allows him to have their needs met. 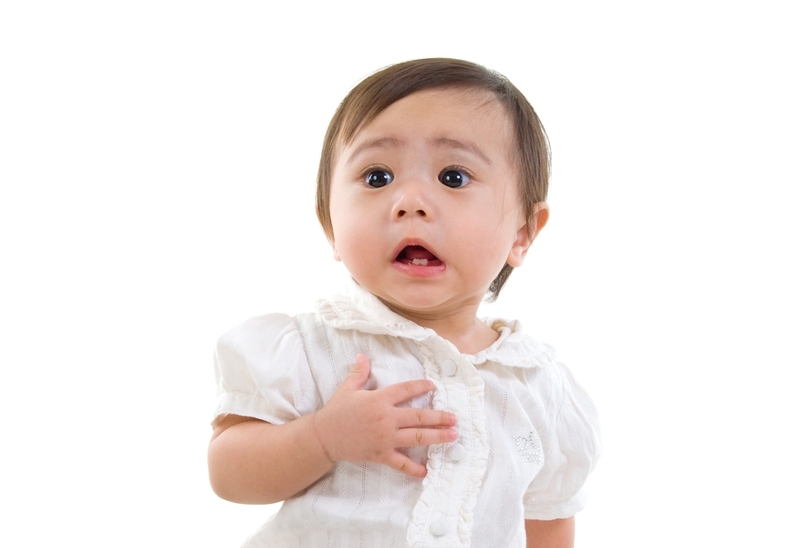 When a baby is showing potential speech delays it is not a time for fun and games. Be intentional about the signs that you teach him to ensure you are not neglecting a basic need. Take time to teach your toddler emotional signs that will allow him to reach out for help. Scared, sad, happy or lonely should be introduced early one. Teaching this signs in tandem with signs for the basics such as food and warmth will better equip your little one to help you give him a happy and healthy life. Don’t try to do this alone. 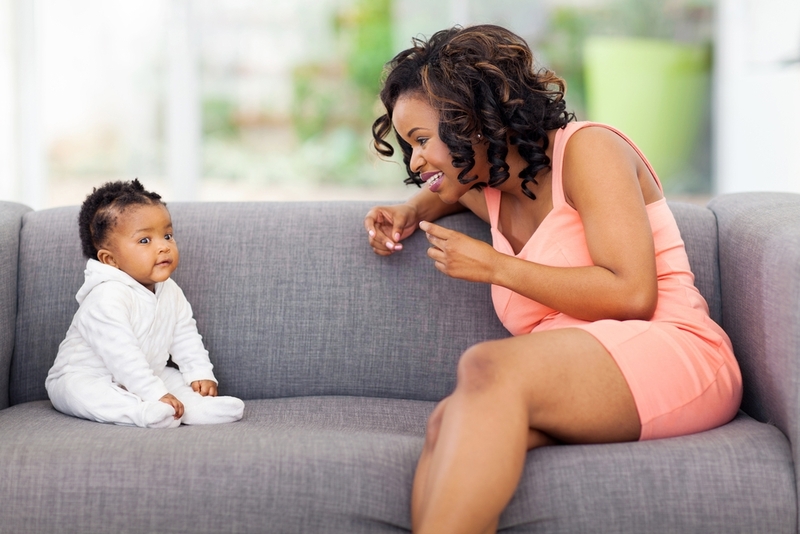 Take time to chat with your speech therapist and have them help you put together a plan that helps your baby communicate as early as possible while still working on verbal skills. There are many tricks of the trade, games and educational activities that can accelerate learning and get your little one where he needs to be as soon as possible. We frequently receive correspondence from early child development professionals looking for ways to introduce babies to baby sign language in the classroom environment. We have received numerous reports from educators around the globe highlighting how baby sign language has been helpful in their classrooms and play groups. Based on the feedback we have received we want to share with you a few of the ways in which learning signs is proving to be helpful for babies, toddlers and preschoolers attending daycare, early childhood intervention and Head Start Programs. Whether a child comes from a different ethnic background or a household with different cultural nuances once a little one makes it to daycare the need to have common means of communication becomes essential to their emotional health and academic progress. By using baby sign language in the classroom both the educator and child can make the connection between words and concepts. For the non-native English speaker knowing the sign for nap will help him or her connect the dots between the action and the word they hear at home. Similarly babies will be able to overcome regional differences and learn synonyms such as binkie or pacifier. Both at home and at daycare one of the most important reasons to introduce babies to baby sign language is empowerment. A baby who is able to effectively communicate primal needs such as hunger or thirst will be a happier baby with far less chances of resorting to tears or tantrums to convey their frustration. Imagine how impactful it can be if by signing you reduce tantrums in the classroom by at least half. Now you will have more time to teach, love and create memories with the little ones. Non-verbals are as important as words when it comes to communication skills. By reinforcing speech with signs not only do we equip toddlers to have clarity in conveying ideas, we also provide them with the means to refine their motor skills and make gestural associations between word and movement. 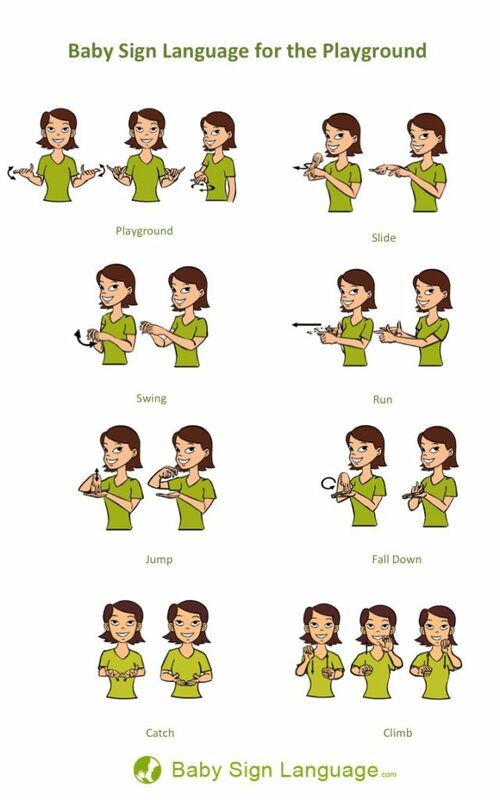 One of the most effective ways to maximize motor skills development through baby sign language is by using key signs in combination with simple songs that highlight age-appropriate activities pointing to self-reliance. Keeping order in the classroom and having the ability to engage the group in activities conducive to learning is essential. 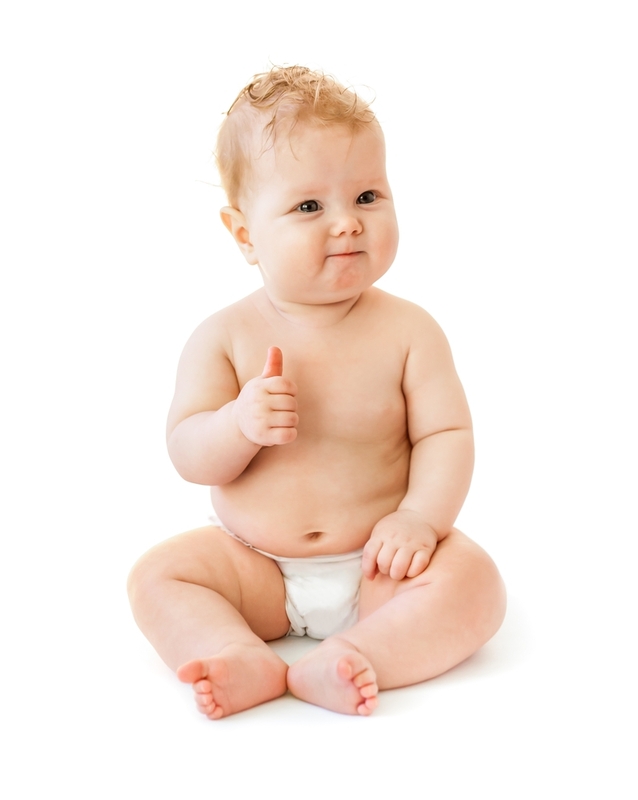 Baby Sign Language can give toddlers the means to communicate urgent needs such as potty or thirsty without raising their voice or distracting the rest of the group. This is specially useful during reading circle or group play. There is nothing more frustrating to a little one than wanting to communicate something to a peer and failing due to lack of appropriate words. Baby sign language creates a common language among your students allowing them to better engage with others in play and cooperation. Concepts such as share, mine, more and thanks can make a world of difference on how little ones engage with each other. If you are a teacher, caregiver or preschool administrator consider our Baby Sign Language Teaching Guide. The guide contains advanced teaching methods suitable for the classroom. In tandem with our core signs Flash Card Set you can begin introducing babies & toddlers in your classroom to the world of signing.